The United Arab Emirates is an Arabian Peninsula nation settled mainly along the Persian Gulf that was formed from 7 sheikhdoms. Dubai is the site of ultramodern Burj Khalifa tower, enormous shopping centers and extravagant attractions, such as the indoor Ski Dubai. Abu Dhabi, the island capital, is home to Sheikh Zayed Grand Mosque. Just complete our flight search box and click to find the best prices on cheap flights to the UAE. Our search engine here at Directflights.com will quickly find the best prices available from more than 500 travel companies and airlines. 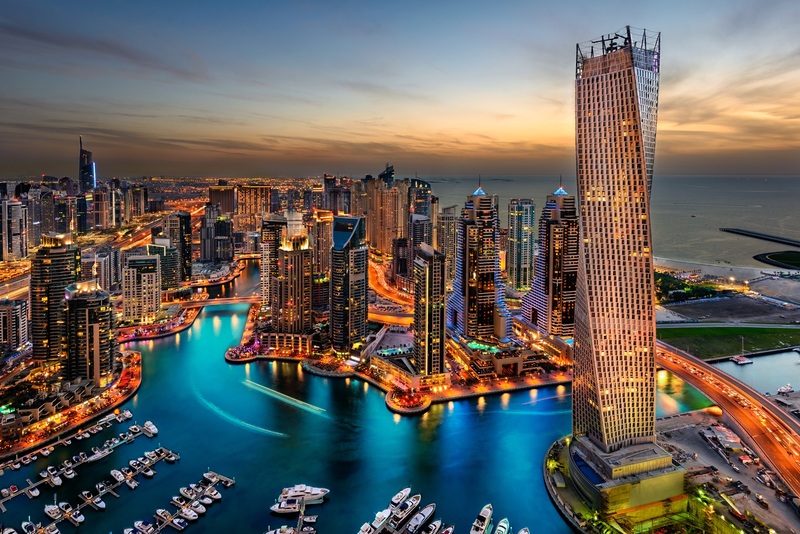 If you're after the cheapest flights to the UAE, we advise you to book well in advance and if possible avoid the busy summer months as well as school holiday periods during Easter and Christmas. As well as finding you low cost flights, we can also find you the most competitive fares on lastminute flights, try our flight search facility and see for yourself.